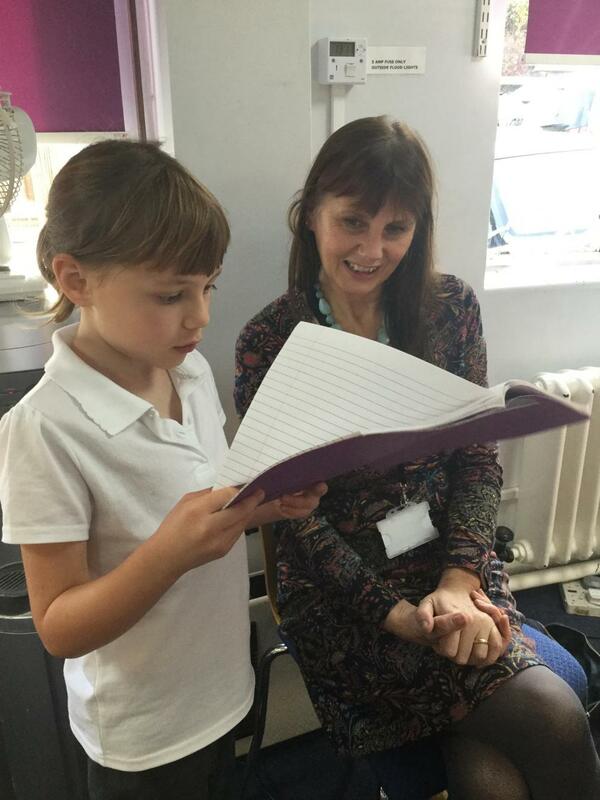 What a fabulous day we have had at the lower site with our Patron of Reading, Margaret Bateson-Hill! 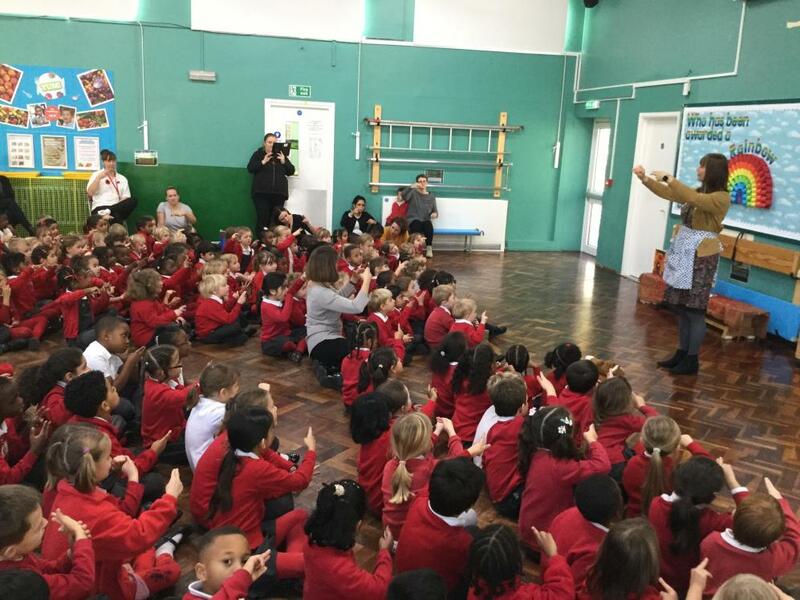 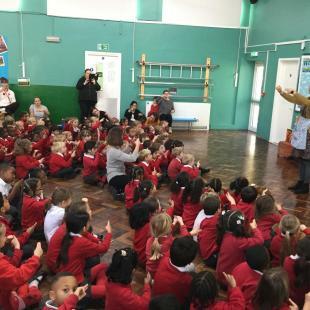 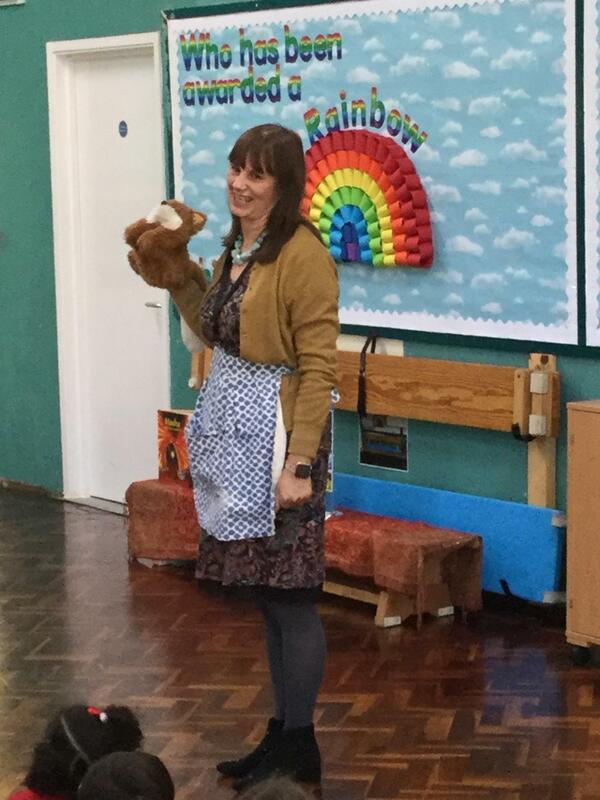 She started the day with a very interactive assembly in which she told the story of The Little Red Hen. 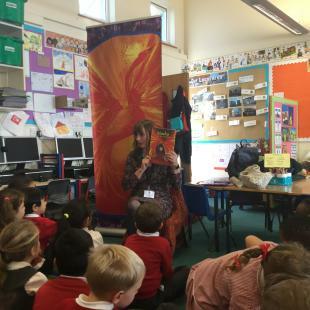 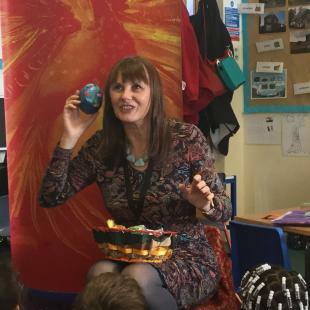 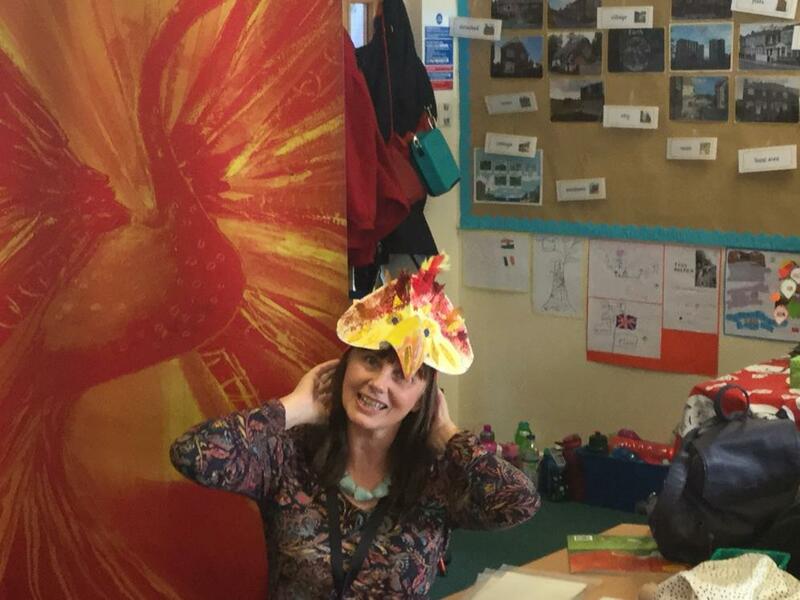 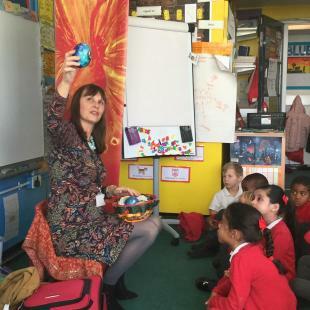 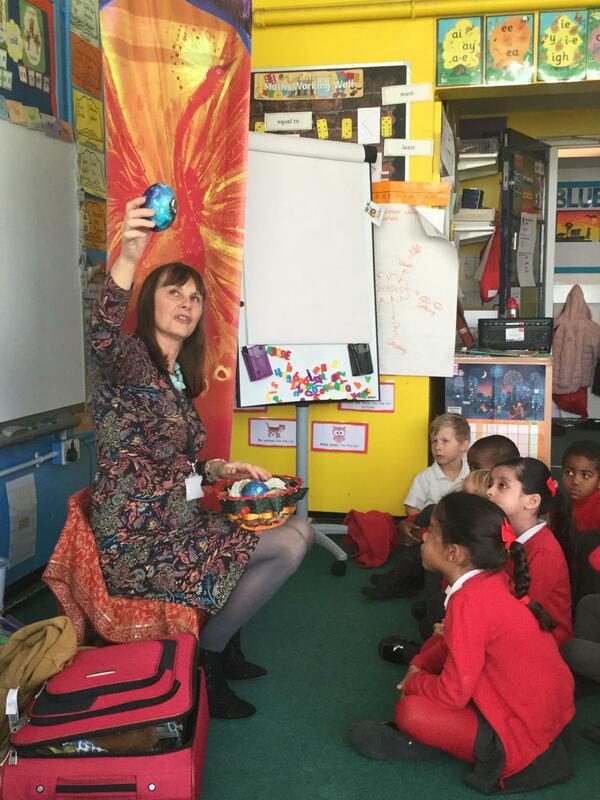 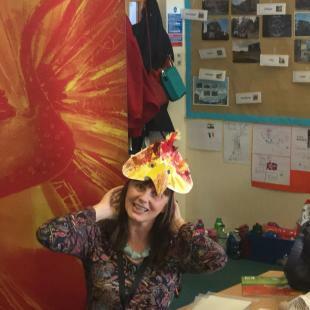 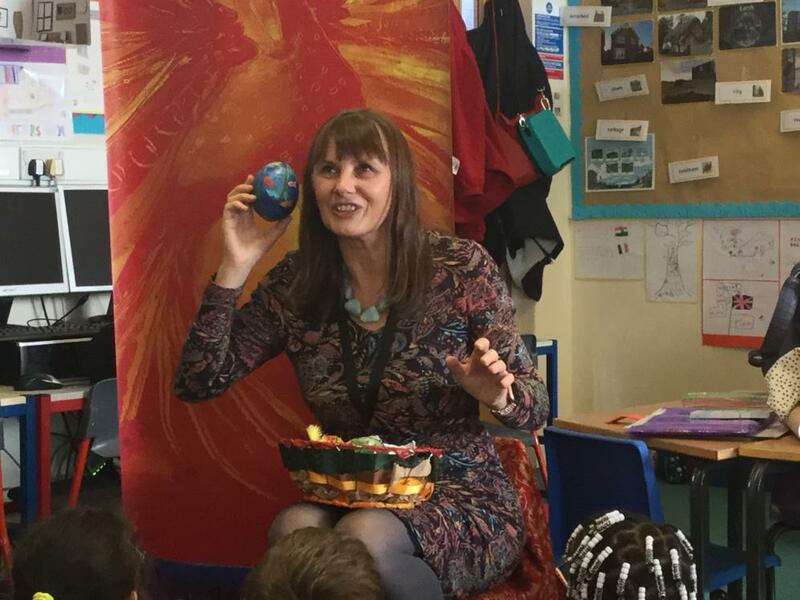 She has worked with all the Year 1 classes, telling the story of Masha and the Firebird. 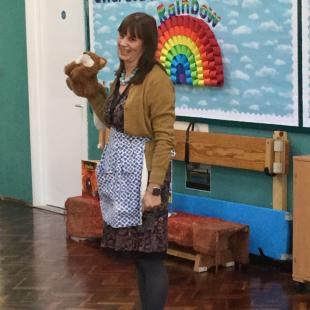 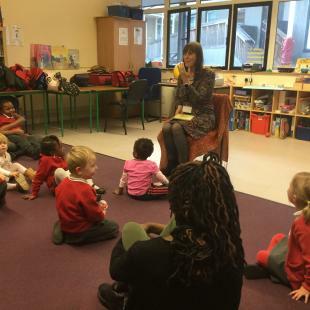 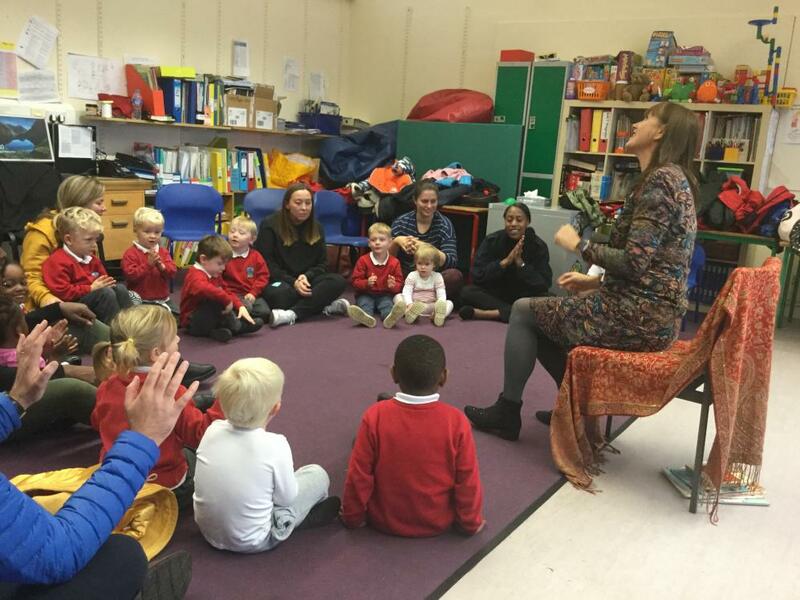 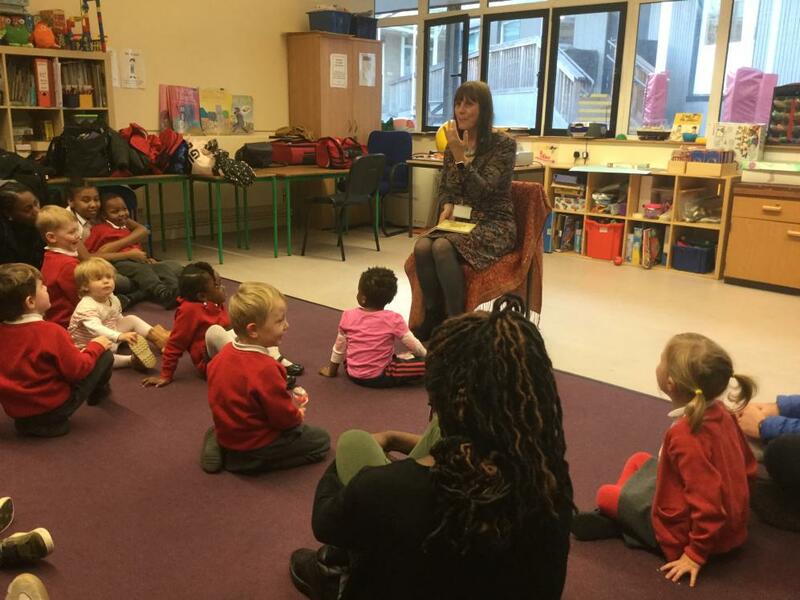 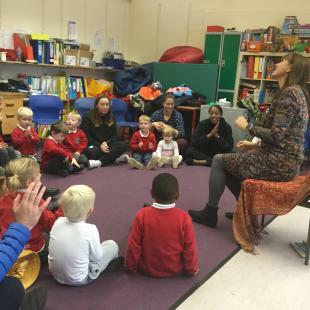 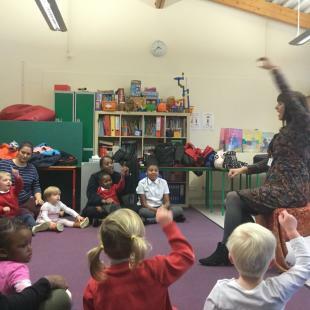 She also did some wonderful story telling through songs and rhymes in Gold, Silver and Rainbow Classes. 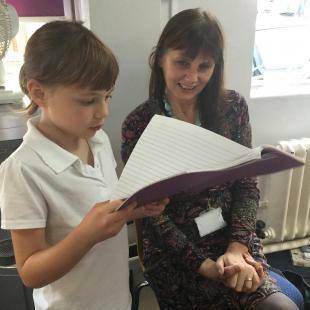 One of the girls in Year 2 was so inspired by Margaret’s assembly that she wrote her own version and read it to her at lunchtime! 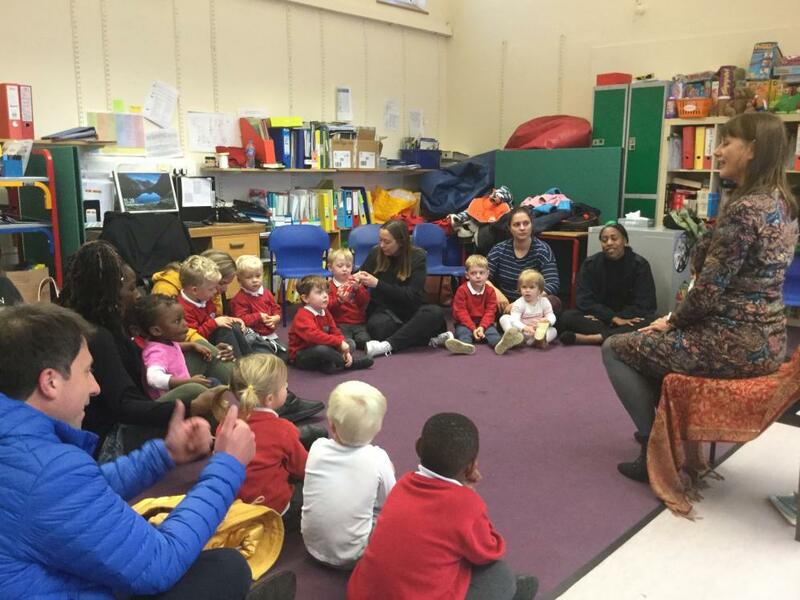 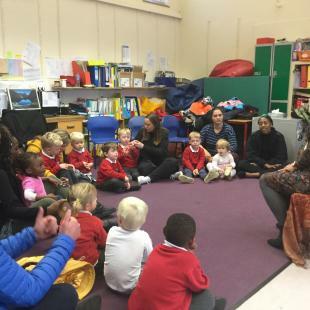 Margaret ended the day with a workshop for Little Cypress parents and carers on how to use stories and rhymes with young children. 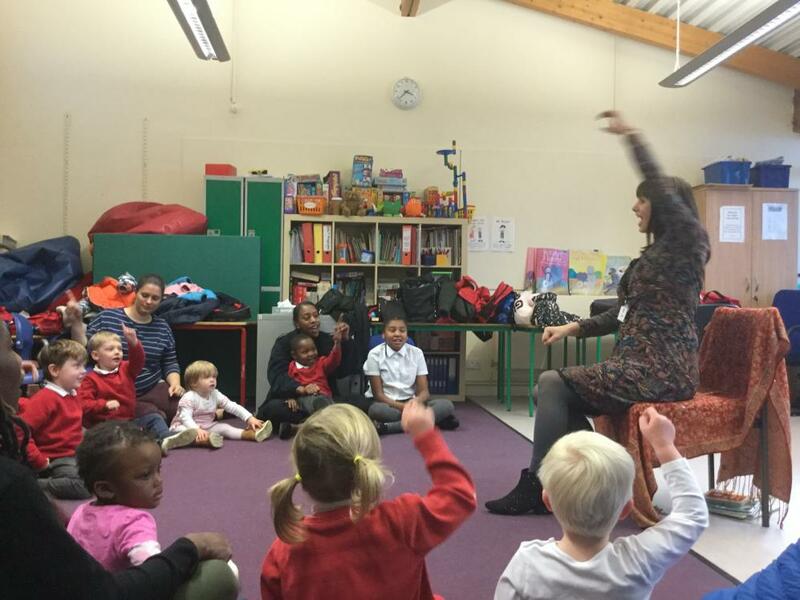 Everyone had so much fun and got plenty of ideas! 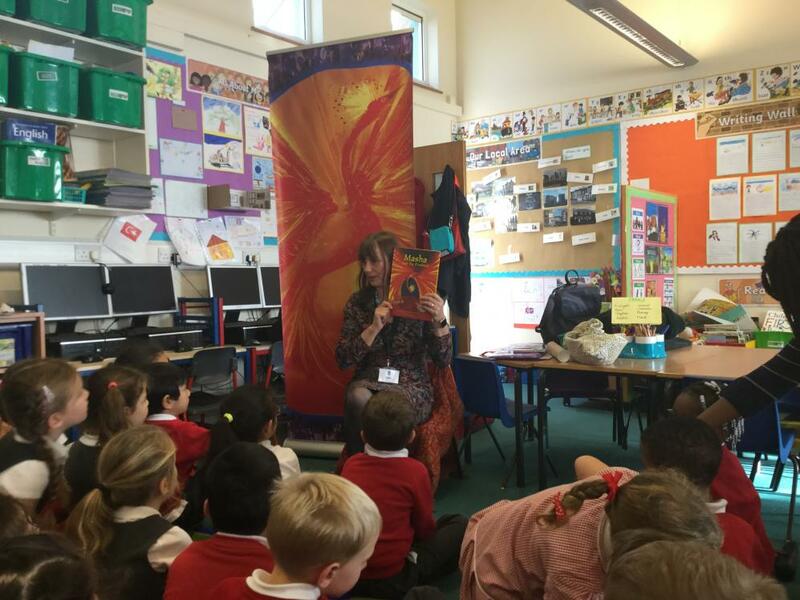 Thank you so much, Margaret, we all loved having you at Cypress!